A driver in New York state ran his car off the road and into a tree last night as a result of playing "Pokémon Go." 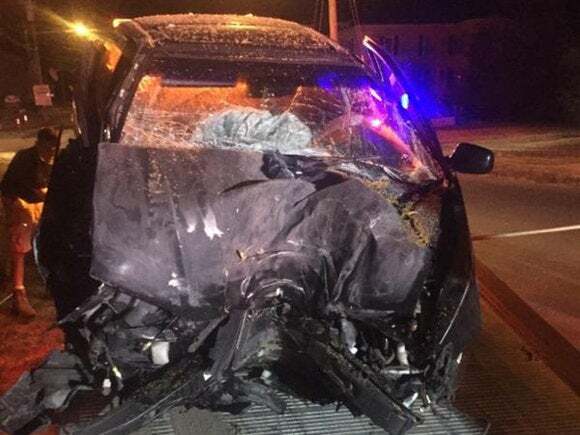 "The driver admitted to actively playing the Pokémon Go game while driving causing him to become distracted and run off the roadway into a tree," the police said in a statement. "This is an example of how easily accidents can occur when someone is engaged in the game and not paying attention," the police said. Referencing the thousands of accidents and deaths caused each year by distracted driving and thousands more accidents caused by distracted walking -- a term coined to mean those times when people are engrossed in their smartphones and not paying attention while walking -- the group reminded players to pay attention to the world around them.